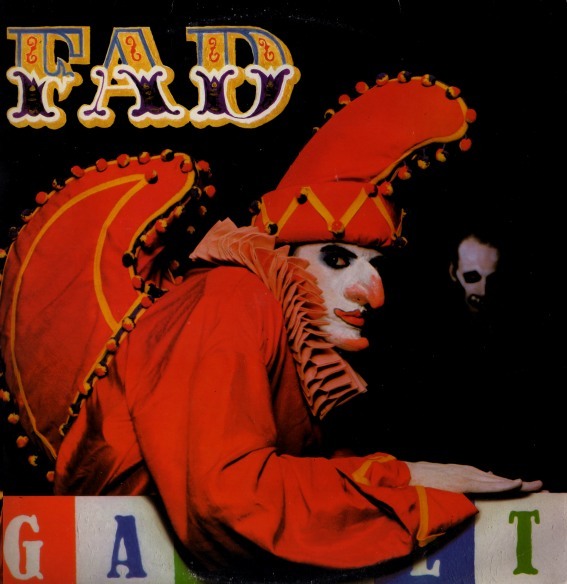 Fad Gadget is the stage name of Francis John (Frank) Tovey (8 September 1956 – 3 April 2002), an influential British avant-garde electronic musician and vocalist. He was a proponent of both New Wave and early Industrial music. As Fad Gadget, his music was characterized by a distinctive use of synthesizers in conjunction with sounds of found objects, including drills and electric razors. His bleak, sarcastic, and darkly humorous lyrics, often layered in meaning and discussing subjects such as machinery, building construction, human sexuality, and physical violence, were sung in a droning, often expressionless voice. Incontinent is the second album by Frank Tovey, better known as Fad Gadget, released in 1981. While developing the industrial sound of his debut Fireside Favourites in 1980, the new album relied less on drum machines and found objects, introducing more traditional instruments such as accordion and jaw harp, as well as making more frequent use of female backing vocals. The album's cover featured Tovey made up as the puppet Punch. Its lyrical content was informed by his tour of the US in 1980. "Blind Eyes" satirised keeping the world's problems at arm's length, with lines such as "Send a few pounds to a charity / Now we're feeling so much better" and a chorus intoning "Hear no, see no, speak no evil". This was followed by the sexual innuendo of "Swallow It". "Saturday Night Special" took its title from an American revolver and ruminated on the right of men to bear arms and rule their home. It has been called a "baroque ditty for all gun lovers", and "a comment on the macho attitudes of Reagan's America". The title track and "Manual Dexterity", respectively the last track on Side 1 and the first track on Side 2 of the original vinyl LP, were the album's twin instrumentals. The former track featured Mute Records founder Daniel Miller, the latter Robert Gotobed of the band Wire. A non-album single, "Make Room" backed with "Lady Shave", preceded Incontinent's release on 18 March 1981. "King of the Flies" was released as a flexi-single on 2 October 1981. "Saturday Night Special" backed with "Swallow It Live" (recorded at the Venue on 8 December 1981) was issued on 5 January 1982. A rerecorded version of "King of the Flies" backed with "Plain Clothes" was released on 6 April 1982. None of these singles, or the parent album, made the mainstream charts.